Like the human body, your church body functions best (and as intended) with optimized and healthy systems. By identifying and upgrading your church's systems you'll be able to reach more people and make stronger disciples. 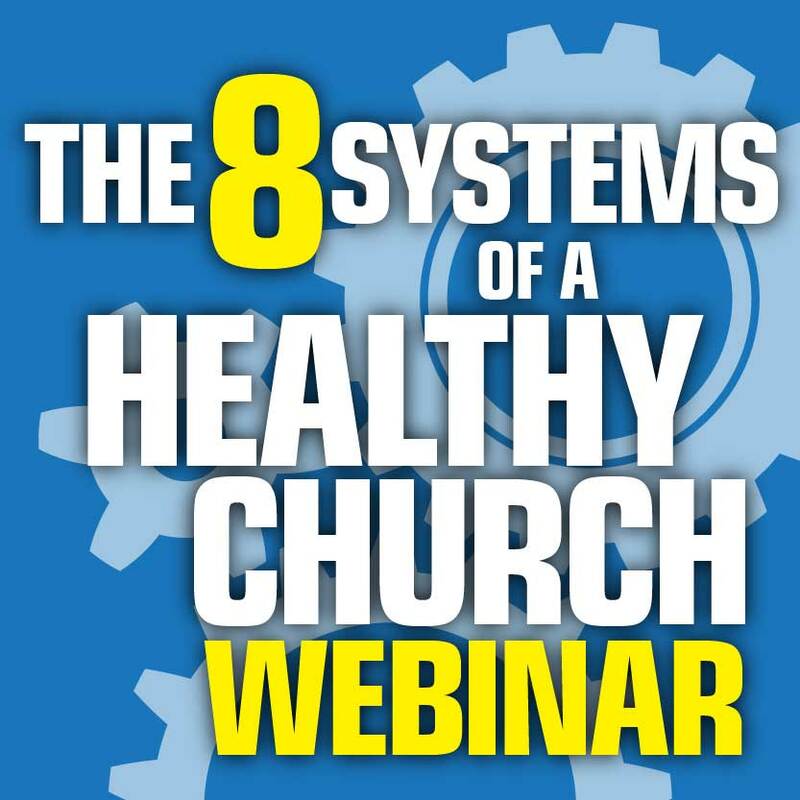 Join Nelson Searcy for this FREE, 75-minute webinar to discover all eight of your church's systems and how you can begin to make each of them more effective for greater health and growth. Close the Back Door at Your Church! You're invited to join Nelson Searcy for this FREE, one-hour webinar where you'll discover the three most common mistakes churches make in connecting new people AND how you can avoid them! Best of all, this webinar is FREE for you to experience from the comfort of your home or office (all you need is a computer with speakers or headphones and internet access - no phone line or long distance required). There are three growth barriers that every church faces regardless of size. They're the most common and yet they're the most paralyzing. Through this brand new webinar, I will help you identify these barriers and give you practical next steps that you can take next week to break through each barrier. Learn to Staff Your Church for Growth! Nothing keeps pastors awake at night more than church staffing issues. Navigating the landmines of recruiting, hiring, managing and "de-hiring" is enough to induce insomnia in even the most exhausted church leader. Join Nelson Searcy for this FREE, 75-minute webinar to learn to identify and avoid each of the three most common staffing mistakes pastors make. Kerrick wants to share with you 3 of the most important skills that have made his time as Executive Pastor at The Journey Church successful, fulfilling and enjoyable. Serving as an Executive or Associate Pastor is one of the most challenging and important staff positions in the local church today. It seems like you have to know everything, do everything and be everything... and all the while no one notices you unless you mess up!